Words by Fiona Symington-Mitchell. Photos courtesy of Kitchen Table Projects. Founder Tara Sundramoorthi talks about Kitchen Table Projects and its mission “to connect the best emerging artisans with the people who can’t wait to discover them”. 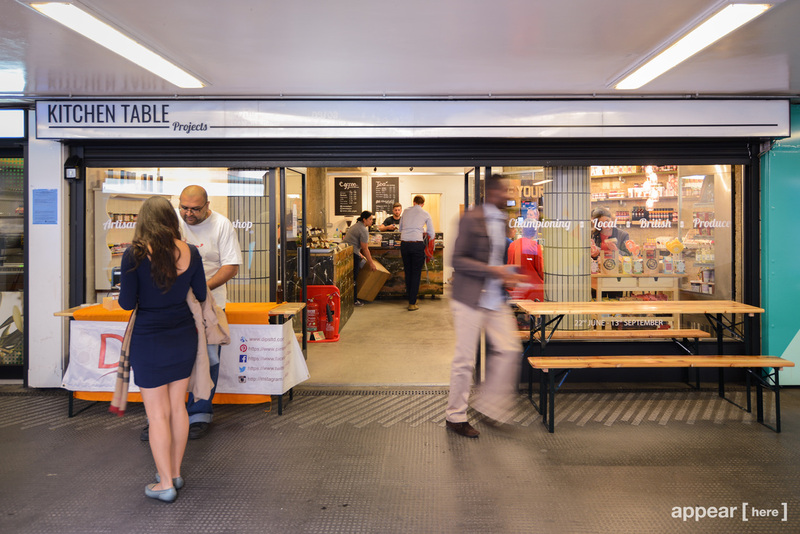 A retail incubator, Kitchen Table Projects launched this summer taking up residence at London’s Old Street station. For 12 weeks, emerging food artisans (“springboarders”) will go to market, receive mentoring and guidance from a band of experts, themselves experienced in taking an idea from the kitchen table to a successful small business. 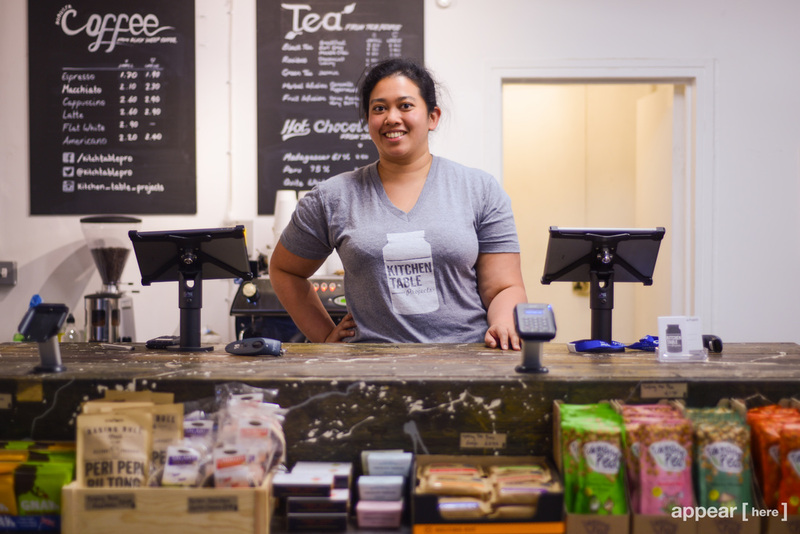 Launched with some seed funding from Capital and a lot of good will and enthusiasm, Kitchen Table Projects offers an invaluable resource to those wanting to become the next big thing in the food industry. 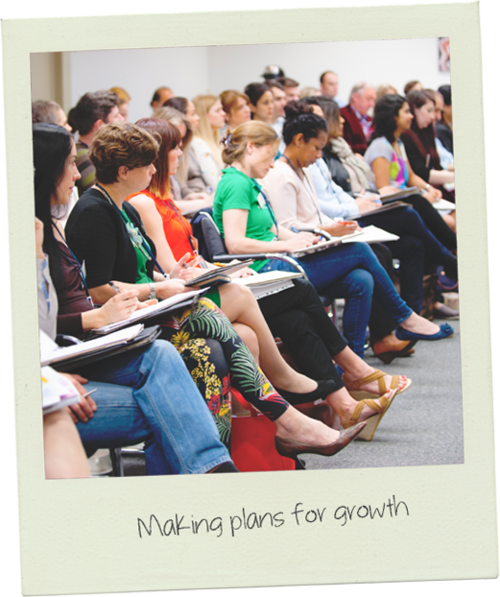 Over the course of the Artisan Springboard programe, food entrepreneurs participate in six bootcamps that cover topics as diverse as finance (maintaining a healthy cash flow to securing funding) through to PR and marketing. Each springboarder will have their product featured in a pop-up retail store at Old Street: an ideal location with its footfall of tens of thousand of people a day. Feedback boards are used to ask the public questions about price-point, packaging and even USP with participants receiving weekly feedback. There is a charge to participate in the programme. The Artisan Springboard runs from 22 June - 13 September 2015. You can find out more about the programme here. You ask springboarders to develop an elevator pitch for their business. What’s yours? It changes depending on who I am talking to; however, for me it is “we connect the best emerging artisans with the people who can’t wait to discover them”. 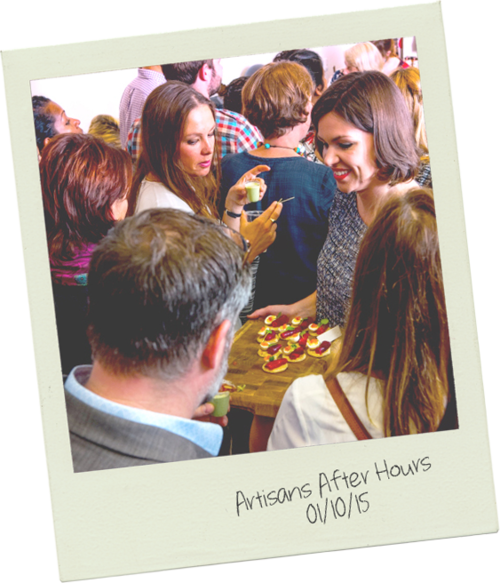 Why Old Street as a location for your first Artisan Springboard event? Appear Here contacted us; they manage Old Street on behalf of Transport For London (TFL). Kitchen Table Project is clearly complimentary to TFL’s ideas to make the station a destination in and of itself. It’s a great location for our pop-up retail store because of the footfall. We are here for twelve weeks - the same length of time as the programme. And where will you go after your residency at Old Street finishes? We are hoping to run our next springboard in October in the lead-up to Christmas. It is such a crucial time for retail so we are looking at helping people to demonstrate traction, looking at how they can boast their sales during this time. 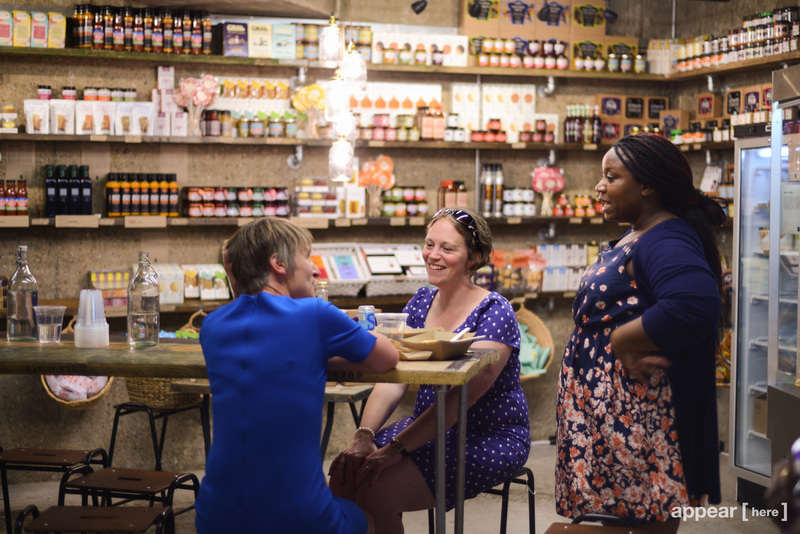 How would you describe London as a food city? London is a huge belting pot of innovation and talent. Even if you are the smallest street food truck, you have to be incredibly good because of the competition. Alan Yau, founder of Wagamama. I would probably give anything to have dinner with him. Yau revolutionised the food industry by introducing communal eating and he’ll has gone to launch Hakkasan, Yauatcha and Naamyaa - all very different restaurants. That flexibility as a food entrepreneur is fantastic and is definitely one of my aspirations. 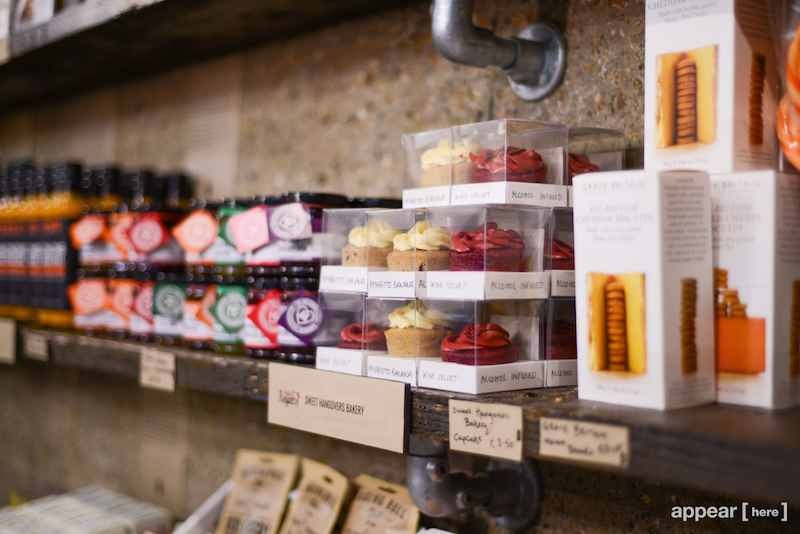 What’s in your London food larder? At Kitchen Table Projects, we work with Marcus Carter of the Artisan Food Club. So as a buyer, I get to access dozens of producers. So from our larder here at Kitchen Table Projects, I like to take home Gregor’s Dressing, Prairie Fire BBQ sauce (it’s our best seller), Sweet Virtues, and Tea People. Fiona Symington-Mitchell is an Australian freelance writer living in London. She has published with Modern Farmer, Remedy Quarterly, Countlan magazine, Food& and de Groot Media Australia across its food guide publications.